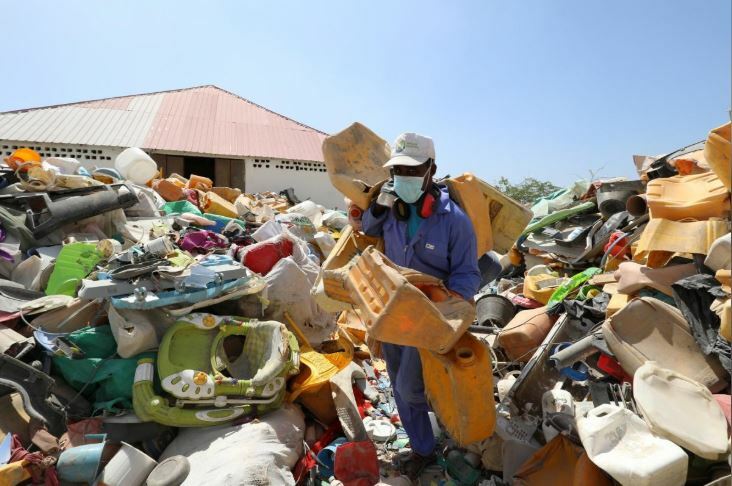 Somalis turn a profit by transforming their scrap plastic - SABC News - Breaking news, special reports, world, business, sport coverage of all South African current events. Africa's news leader. A man sorts plastic litter collected from a garbage dump to be recycled into roofing tiles at the Envirogreen recycling plant. The cash-strapped government is struggling to control a vast, divided country where Islamist militants from the al Qaeda-linked al-Shabaab group still launch regular attacks on the capital. Muslimo Aden Ali said he gets paid 3 000 Somali shillings ($5.18) for every kg of waste he brings in. This entry was posted on 23 Jan 2019,05:50AM at 5:50 AM and is filed under Business. You can follow any responses to this entry through the RSS 2.0 feed. Both comments and pings are currently closed.